The year is 2018. A vast majority of people have embraced mobile technology and with it, the ability to stay connected and engaged. While in theory, receiving emails, push notifications, SMS, and chat messages means users now have the chance to remain informed, such methods are becoming increasingly overused and contributing to the noisy landscape which in turn is selectively consumed by recipients. So as marketers or operative managers, how do you succeed at ensuring your message, sometimes a critical one, is actually engaged? Let’s start at the top. Everyone thinks so, and some people are right to think it. So how do you stand out? 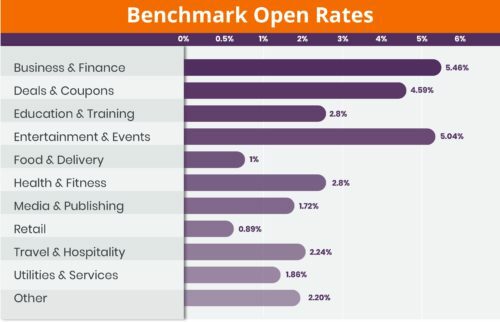 Messaging teams have long-relied on statistics and trends around open and click-through rates to ensure that their next message has optimal delivery. Take as an example a hypothetical grocery store sending app users a push notification to visit the store on the way home from work. If the strategy involves sending a push-notification at 5:30 pm to catch people on the commute home, this tactic is constructed on the variable of general time. Conversely exists the strategy of “on my time” (timing). Applications can provide administrators, marketers, and managers information that is knowledgeable about the end user. In the same scenario, a grocery store can use geofencing to detect as users approach the store and notify them of sales and promotions on their personal commonly purchased products. Both scenarios used the same messaging format, but one delivered invaluable utility while the other one took broad strokes. The latter is considered part of the noisy landscape — a message that can ultimately drive users to turn off push notifications or sometimes delete an application altogether. Many of these messaging methods have become increasingly thought of as consumer-facing tactics. Truth is, enterprise operations have more to gain than ever by embracing the right medium at the right time. As the supply chain makes a shift to be increasingly digital, it’s not just the senior management and supervisors leveraging technology. Companies such as Amazon, Oneok, and one of Shockoe’s electronics distribution clients, are placing more managers and operative members into the digital environment to ensure the quality of process and deliver. How so? As shifts begin, a push notification including a short list of initial items can remind operators of where to begin their work and click on the application and begin the picking process. Notifications can be sent for upcoming picks or incorrectly scanned items. Appointment reminders, traffic updates, and route adjustments — whether employees are on the field fixing pipeline or servicing HVAC, companies can use application data to send well-timed SMS and push notifications to keep employees on track. Performance metrics can be emailed at the day’s conclusion. How many successful picks? Who is overperforming? Who needs additional training? Chatbots can bridge the gap between onboarding and company know-how. Common questions can be answered by seeking out keywords. More challenging queries can now be processed through AI-powered chatbots that can seek out common threads, tone, context, and timing to give the best possible answer. The common element in each instance above is ‘utility.’ A message is likely to be engaged if it provides value at the right moment, and in each case above it helps workers optimally complete a task. This is the universal ingredient to successful messaging in 2018 — if you’re delivering irrelevant content at the wrong time it is likely that the user will learn to disregard messages and ultimately drive the overall process to failure. When it comes to customer-facing applications, timing is arguably trickier, but in truth, it’s built on the same principles as before. Earlier we took a look at how a grocery store could provide utility vs. blanket marketing. As a CMO, this is the fundamental principle that should be looked at when figuring out the best moment to engage your customers. Great timing stems from understanding your specific consumer and their buying/use habits. Whether you’re a bank, a retailer, or a service provider, nobody likes unsolicited sales pleas having nothing to do with their day. Nevertheless, if you know when your customer is supposed to be boarding their plane, or you know when they regularly shop at your store, or you got to know a need of theirs through a customer service chatbot, leverage your knowledge to push information that will deliver the utility they seek from working with your company digitally. How are different industries delivering this type of utility? Reserved for truly personal and time-critical information, banks should use a mixture of SMS and push notifications to notify users of security breaches and irregular withdrawals from their accounts. Companies like Mint and YNAB are communicating updates on excessive spending and budget thresholds through push notifications that ensure users keep an eye on their finances day-to-day. Travel updates, flight cancellations, train re-routes and detours. When there are adjustments that impact the path of travel, companies can communicate with passengers through SMS and push notifications to potentially save a trip to the airport and get rescheduled through the application. Brands recognize the importance of keeping consumers connected to their carts, regardless of if they complete their transaction. If a consumer has added products to their cart in the app and they lock their phone/go inactive, a push notification to remind them that they have items in their cart and increase the likelihood of a completed purchase. To help reconnect customers to brands, emails are helpful for helping customers plan for sales events. Customers can receive coupons after not visiting their site for a certain set of days, invites to sale events on products based on their shopping habits, or even calendar events so customers can have a sale set in their personal calendars. Email, SMS, push notifications, and in-app messaging began with humble beginnings — mechanisms for maintaining personal relationships and running business processes and workflows. Marketers saw an opportunity to embed themselves as part of that world, first by email, then by text, and today through push notifications and chat-bots. The result is a digital space filled with endless noise. Consumers and employees are getting inundated with messages. According to the Worldwide Daily Email Traffic Report, by 2019 people will receive and send between 100 and 250 emails a day. Similarly, text messaging, once an exclusive space for friends, family, and close colleagues, is becoming an increasingly used medium for businesses and marketers to promote products and services. Even though there are the limitations to length and content, it’s a popular enough medium that people will exchange anywhere between 25 and 130 daily messages. Last but not least, push notifications, in-app messaging, and toast, have finished saturating the space by engaging audiences across all connected devices (PC, tablet, phone), regardless of whether the device is in use or not. As with the previous two mediums, marketers have found a way to interrupt the average person as many as 45 times per day with push notifications. So what does this all mean? Unsurprisingly, the limited bandwidth and desire to sift through content means open and engagement rates are at an all-time low. The reality is when used at the right time and for the right purpose, these three mediums can be highly effective at engaging users. Shockoe approaches messaging in the same way we approach all other technology; we incorporate utility into technology that will make work easier. The result should be a user base that will grow to believe in the value of your message, your application, and your service. If you’re not sure how to approach messaging in your own application, internal or customer facing, give us a shout! We’ve got a few tricks up our sleeve to help your company leverage the power of effective messaging. Jaime De La Ree is the acting business development lead at Shockoe with five years of experience in mobile technology consulting. Before joining Shockoe, Jaime worked in supply chain distribution management and later as a non-profit technology partner. When he’s not helping Shockoe build partnerships, Jaime spends his time with his wife and son, and in the remaining time is an avid carpenter, photographer, and astronomer.